This is one of my favorite pages from all my work on Justice League Adventures. 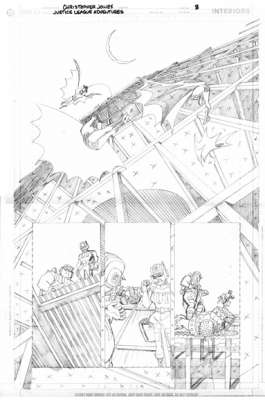 A big panel features multiple images of Batman as he pulls a cool maneuver and disappears into the shadowy cover of a building under construction. Even the bad guys look on impressed.